When Collette Lee founded her boutique real estate firm in 1989, she had a vision of creating a locally minded, community-oriented real estate firm composed of highly trained agents, providing superior service and expertise to support building better neighborhoods. Now, 25 years later, Collette and her son Brent are continuing that same vision with an updated look. 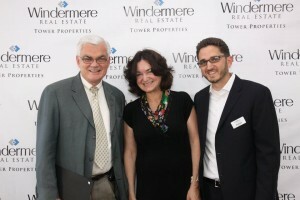 Windermere Real Estate, Tower Properties is committed to provide the highest level of service, and the fullest understanding of the tools, trends and processes that will make your real estate transaction as smooth and successful as possible. 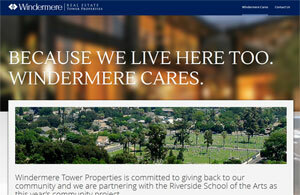 Our commitment to our community is what sets us apart from our competition; Windermere Cares: Because we live here too. 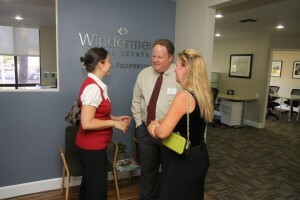 Windermere has a network of over 300 offices and more than 7,000 agents throughout the Western United States and Mexico. Lately, the most powerful tool that Windermere has is our agents; their professionalism and commitment to community enables them to tailor their service individually to each of their clients’ needs. For every home that is bought or sold through Windermere, the Windermere Foundation donates a portion of the proceeds towards supporting low-income and homeless families in our communities. What started in 1989 as a grassroots foundation serving Seattle-area families in need, has grown to encompass ten states and has raised more than $24 million for programs and organizations that provide shelter, clothing, children’s programs, emergency assistance, and other services to those who need our help most. Every year Windermere closes its offices for one day to help make a positive difference in our local communities. It all started in 1984 when a handful of Windermere owners and agents came together to make repairs at a Seattle-area elementary school. Twenty-nine years and over 800,000 hours of community service later, we’ve continued this tradition through neighborhood-enhancing projects in the areas where our Windermere teams live, work, and play.